This article is about Spiritism. For the similar movements prominent in most English-speaking countries, see Spiritualism. Spiritism is a spiritualistic philosophy codified in the 19th century by the French educator Hippolyte Léon Denizard Rivail, under the pen name Allan Kardec; it proposed the study of "the nature, origin, and destiny of spirits, and their relation with the corporeal world". Spiritism soon spread to other countries, having today 35 countries represented in the International Spiritist Council. Spiritism postulates that humans are essentially immortal spirits that temporarily inhabit physical bodies for several necessary incarnations to attain moral and intellectual improvement. It also asserts that spirits, through passive or active mediumship, may have beneficent or malevolent influence on the physical world. The term first appeared in Kardec's book, The Spirits Book, which sought to distinguish Spiritism from spiritualism. Spiritism has influenced a social movement of healing centers, charity institutions and hospitals involving millions of people in dozens of countries, with the greatest number of adherents in Brazil. 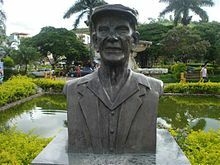 Spiritism was also very influential in the new Vietnamese religion called Cao Đài or Caodaism, born in 1926 after three spirit mediums received messages that identified Allan Kardec as a prophet of a new universal religion. Spiritism is based on the five books of the Spiritist Codification written by French educator Hypolite Léon Denizard Rivail under the pseudonym Allan Kardec, in which he reported observations of phenomena at séances that he attributed to incorporeal intelligence (spirits). His work was later extended by writers such as Léon Denis, Gabriel Delanne, Arthur Conan Doyle, Ernesto Bozzano, Gustav Geley, Chico Xavier, Divaldo Pereira Franco, Emídio Brasileiro, Alexandr Aksakov, William Crookes, Oliver Lodge, Albert de Rochas, and Amalia Domingo Soler. Kardec's research was influenced by the Fox sisters and the use of talking boards. Interest in Mesmerism also contributed to early Spiritism. Emanuel Swedenborg (January 29, 1688 – March 29, 1772) was a Lutheran Swedish scientist, philosopher, seer, and theologian. Swedenborg had a prolific career as an inventor and scientist. At 56, he claimed to have experienced visions of the spiritual world and talked with angels, devils, and spirits by visiting heaven and hell. He claimed he was directed by the Lord Jesus Christ to reveal the doctrines of his second coming. Nevertheless, Swedenborg is often cited by Spiritists as a major precursor for their beliefs. 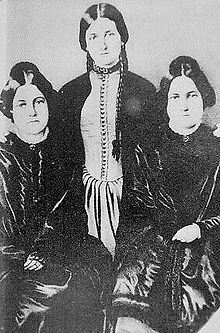 Sisters Catherine (1838–92), Leah (1814–90) and Margaretta (1836–93) Fox played an important role in the development of Modern Spiritualism. The daughters of John and Margaret Fox, they were residents of Hydesville, New York. In 1848, the family began to hear unexplained rapping sounds. Kate and Maggie conducted channeling sessions in an attempt to contact the presumed spiritual entity creating the sounds, and claimed contact with the spirit of a peddler who was allegedly murdered and buried beneath the house. A skeleton later found in the basement seemed to confirm this. The Fox girls became instant celebrities. They demonstrated their communication with the spirit by using taps and knocks, automatic writing or psychography, and later even voice communication, as the spirit took control of one of the girls. Skeptics suspected this was deception and fraud, and sister Margaretta eventually confessed to using her toe-joints to produce the sound. Although she later recanted this confession, she and her sister Catherine were widely considered discredited, and died in poverty. Nonetheless, belief in the ability to communicate with the dead grew rapidly, becoming a religious movement called Spiritualism, which contributed significantly to Kardec's ideas. After the news of the Fox sisters came to France, people became more interested in what was sometimes termed the "Spiritual Telegraph". Planchette, the precursor of the pencil-less Ouija boards, simplified the writing process which achieved widespread popularity in America and Europe. 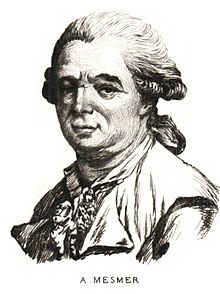 Franz Anton Mesmer (May 23, 1734 – March 5, 1815) discovered what he called magnétisme animal (animal magnetism), which became known as mesmerism. The evolution of Mesmer's ideas and practices led Scottish surgeon James Braid (1795–1860) to develop hypnotism in 1841. Spiritism incorporated various concepts from Mesmerism, among them faith healing and the energization of water to be used as a medicine. Although there are many similarities, Spiritism differs from spiritualism in a number of ways. In What Is Spiritism?, Kardec calls spiritism a science dedicated to the relationship between incorporeal beings (spirits) and human beings. Thus, some Spiritists see themselves as not adhering to a religion, but to a philosophical doctrine with a scientific fulcrum and moral grounds. Another author in the Spiritualist movement, Sir Arthur Conan Doyle included a chapter about Spiritism in his book History of Spiritualism, in which he states that Spiritism is Spiritualist, but not vice versa. As a consequence, many Spiritualist works are widely accepted in Spiritism, particularly the works of 19th-century physicists William Crookes and Oliver Lodge. The Genesis According to Spiritism—attempts to reconcile religion and science, dealing with three major conflicts between the two: the origin of the universe (and of life, as a consequence) and the concepts of miracle and premonition. Kardec also wrote a brief introductory pamphlet (What Is Spiritism?) and was the most frequent contributor to the Spiritist Review. His essays and articles were posthumously collected into the Posthumous Works. "God is the Supreme Intelligence-First Cause of all things." "God is eternal, immutable, immaterial, unique, all powerful, sovereignly just and good." "A spirit is not an abstract, undefined being, only to be conceived of by our thought; it is a real, circumscribed being, which, in certain cases, is appreciable by the senses of sight, hearing, and touch." "All Spirits are destined to attain perfection by passing through the different degrees of the spirit-hierarchy. This amelioration is effected by incarnation, which is imposed on some of them as an expiation, and on others as a mission. Material life is a trial which they have to undergo many times until they have attained to absolute perfection"
"A spirit's successive corporeal existences are always progressive, and never retrograde; but the rapidity of our progress depends on the efforts we make to arrive at the perfection." "The soul possessed its own individuality before its incarnation; it preserves that individuality after its separation from the body." "On its re-entrance into the spirit world, the soul again finds there all those whom it has known upon the earth, and all its former existences eventually come back to its memory, with the remembrance of all the good and of all the evil which it has done in them." "Spirits exert an incessant action upon the moral world, and even upon the physical world; they act both upon matter and upon thought, and constitute one of the powers of nature, the efficient cause of many classes of phenomena hitherto unexplained or misinterpreted." "Spirits are incessantly in relation with men. The good spirits try to lead us into the right road, sustain us under the trials of life, and aid us to bear them with courage and resignation; the bad ones tempt us to evil: it is a pleasure for them to see us fall, and to make us like themselves." "The moral teaching of the higher spirits may be summed up, like that of Christ, in the gospel maxim, 'Do unto others as you would that others should do unto you;' that is to say, do good to all, and wrong no one. This principle of action furnishes mankind with a rule of conduct of universal application, from the smallest matters to the greatest." According to Kardec, the Spiritist moral principles are in agreement with those taught by Jesus. Other individuals such as Francis of Assisi, Paul the Apostle, Buddha and Gandhi are also sometimes considered[clarification needed] by the Spiritists. Spiritist philosophical inquiry is concerned with the study of moral aspects in the context of an eternal life in spiritual evolution through reincarnation, a process believers hold as revealed by Spirits. Sympathetic research on Spiritism by scientists[weasel words] can be found in the works of Oliver Lodge, William Crookes, William Fletcher Barrett, Albert de Rochas, Emma Bragdon, Alexander Moreira-Almeida and others. Many planets in the universe are inhabited. The central tenet of Spiritism is the belief in spiritual life. From this perspective, the spirit is eternal,[not in citation given] and evolves through a series of incarnations in the material world. Spiritists consider Jesus to be the greatest moral example for humankind. They believe he incarnated on earth to demonstrate the path to achieve spiritual perfection. In this way, Spiritism identifies as a form of Christianity, claiming it is based on Jesus Christ's teachings, despite having an interpretation that differs from those held by mainstream Christian denominations. The Gospels are studied and interpreted in Spiritism; it asserts that some of Jesus' words and actions are clarified in the light of the spiritual phenomena (presented as law of nature, and not as something miraculous). Kardec's works do not establish any rituals or formal practices. Instead, the doctrine suggests that followers adhere to some principles common to all religions. The religious experience within spiritism is, therefore, largely informal. Spiritist week and book fairs. For many of its followers, the description of Spiritism is three-fold: science, for its studies on the mechanisms of mediumship; philosophy, for its theories on the origin, meaning and importance of life; and religion, for its guidance on Christian behavior which will bring spiritual and moral evolution to mankind. Spiritism is not considered a religion by some of its followers because it does not endorse formal adoration, require regular frequency or formal membership. However, the mainstream scientific community does not accept Spiritism as scientific, and its belief system fits within the definition of religion. In Brazil, the movement has become widely accepted, largely due to Chico Xavier's works. The official Spiritist community there has about 20 million adepts, although some elements of spiritism are more broadly accepted and practiced in various ways by three times as many people across the country. Some statistics[weasel words] suggest an adherence to Spiritist practices by 40 million people in Brazil. In the Philippines, there is the Union Espiritista Cristiana de Filipinas, Incorporada (Union of Christian Spiritists in the Philippines, Inc.), which was founded at the turn of the 1900s and registered with the Securities and Exchange Commission in 1905. The religious organization, which uses human mediums to communicate with spirits that have already attained purity or divinity for moral and spiritual guidance, has tens of thousands of members and worship centers in many parts of the country, mostly in Northern Luzon, Central Luzon and the National Capital Region. Its motto: "Towards God through wisdom and love." Its doctrine: "Without charity (good deed), there is no possible salvation." It uses the Holy Bible as the basis of its teachings, supplemented by messages from divine spirits. Since its early development, Spiritism has attracted criticism. Kardec's own introductory book on Spiritism, What is Spiritism?, published only two years after The Spirits' Book, includes a hypothetical discussion between him and three idealized critics, "The Critic", "The Skeptic", and "The Priest", summing up much of the criticism Spiritism has received. The broad areas of criticism relate to charlatanism, pseudoscience, heresy, witchcraft, and Satanism. Until his death, Kardec continued to address these issues in various books and in his periodical, the Revue Spirite. Later, a new source of criticism came from Occultist movements such as the Theosophical Society, a competing new religion, which saw the Spiritist explanations as too simple or even naïve. During the interwar period a new form of criticism of Spiritism developed. René Guénon's influential book The Spiritist Fallacy criticized both the more general concepts of Spiritualism, which he considered to be a superficial mix of moralism and spiritual materialism, as well as Spiritism's specific contributions, such as its belief in what he saw as a post-Cartesian, modernist concept of reincarnation distinct from and opposed to its two western predecessors, metempsychosis and transmigration. The Catechism of the Catholic Church (paragraph 2117) states that "Spiritism often implies divination or magical practices; the Church for her part warns the faithful against it". In Brazil, Catholic priests Carlos Kloppenburg and Óscar González-Quevedo, among others, have written extensively against Spiritism from both a doctrinal and parapsychological perspective. Quevedo, in particular, has sought to show that Spiritism's claims of being a science are invalid. In addition to writing books on the subject, he has also hosted television programs debunking supposed paranormal phenomena, most recently in a series that ran in 2000 on Globo's news program, Fantástico. Brazilian Spiritist, Hernani Guimarães Andrade, has in turn written rebuttals to these criticisms. Scientific skeptics also frequently target Spiritism in books, media appearances, and online forums, identifying it as a pseudoscience. Monument to Chico Xavier in Chico Xavier Square, Pedro Leopoldo City. Chico Xavier (April 2, 1910 – June 30, 2002) was a popular Spiritist medium and philanthropist in Brazil's spiritism movement who wrote more than 490 books and over 10,000 letters to family members of deceased people, ostensibly using psychography. His books sold millions of copies, all of which had their proceeds donated to charity. They purportedly included poetry, novels, and even scientific treatises, some of which are considered by Brazilian Spiritist followers to be fundamental for the comprehension of the practical and theoretical aspects of Allan Kardec's doctrine. One of his most famous books, The Astral City, details one experience after dying. The book became a movie in 2010 available in multiple languages in addition to over 15 other movies. Chico Xavier, Brazilian film, casting Nelson Xavier and Ângelo Antônio. A box office success in Brazil, it tells the story of Brazilian medium Chico Xavier. Nosso lar, (literally "Our Home", but distributed under the title Astral City: A Spiritual Journey internationally) is a 2010 Brazilian film directed by Wagner de Assis, based on the novel of the same name by Chico Xavier about spiritual life after death. In Brazil, a number of soap operas have plots incorporating Spiritism. "A Viagem" (The Journey), produced in 1976/77 by Tupi TV, involving mediumship, death, obsession, reincarnation, etc. It was remade by Globo TV in 1994. "Alma Gêmea" (Soulmate), produced in 2005/06 by Rede Globo, tells of a woman who dies and is reborn to find her soulmate again. "O Profeta" (The Prophet), produced in 1977/78 by Tupi TV and remade by Globo TV (2006/07), included spiritism as one of the philosophies trying to explain the main character's gifts, including being able to predict the future. "Duas Caras" (Two-Face), aired by Rede Globo in 2007/8, includes a character named Ezekiel, who is a born-again Christian challenged by manifestations of his mediumship. "Escrito nas Estrelas" (Written in the Stars), ongoing as of July 2010, includes various Spiritist themes including reincarnation, spirit evolution, and mediumship. "Além do Tempo" (Beyond Time), ongoing as of October 2015, also includes many Spiritist themes, including a second phase in which the characters reincarnate, in order to show the ongoing fights between them, and also that in future incarnations, your social class changes, being that low class characters come back as rich people and vice versa. ^ a b c Moreira-Almeida, Alexander (2008). ^ “Paralisia do sono" Revisado. ^ Allan Kardec and the development of a research program in psychic experiences. Proceedings of the Parapsychological Association & Society for Psychical Research Convention. Winchester, UK. ^ International Spiritist Council, Members website. ^ Lucchetti G, Daher JC Jr, Iandoli D Jr, Gonçalves JP, Lucchetti AL. Historical and cultural aspects of the pineal gland: comparison between the theories provided by Spiritism in the 1940s and the current scientific evidence. Archived 2014-04-09 at the Wayback Machine. Neuro Endocrinol Lett. 2013;34(8):745-55. Indexed on PubMed. ^ Hoskins, Janet Alison 2015. The Divine Eye and the Diaspora: Vietnamese Syncretism Becomes Transpacific Caodaism. Honolulu: University of Hawaii Press. p. 15, 36, 45, 51,63. ISBN 978-0-8248-5140-8. ^ "Apocalypse Explained #1182 (Tansley (1952)) - New Christian Bible Study". ^ "Heaven and Hell #249 (Dole (2000)) - New Christian Bible Study". ^ Allan Kardec: The Spirits' Book, page 63. ^ a b Allan Kardec: The Spirits' Book, page 32. ^ a b c d e Allan Kardec: The Spirits' Book, page 33. ^ Allan Kardec: The Spirits' Book, page 33, 34. ^ Allan Kardec: The Spirits' Book, page 35. ^ "New Page 1". www.explorespiritism.com. Retrieved 2018-03-31. ^ "Reincarnation According to Spiritism". www.explorespiritism.com. Retrieved 2018-03-31. ^ FEB TI. "Federação Espírita Brasileira / FEB - Conteúdo espírita em artigos, notícias, estudo, pesquisa, especialmente para você". febnet.org.br. ^ "Federación Espírita Española - Espiritismo". espiritismo.cc. ^ Blavatsky, H. P. (1875-02-16). "Letter to Prof. Hiram Corson". Some Unpublished Letters of H. P. Blavatsky. Theosophical University Press Online Edition. Retrieved 2008-06-23. In my eyes, Allan Kardec and Flammarion, Andrew Jackson Davis and Judge Edmonds, are but schoolboys just trying to spell their A B C and sorely blundering sometimes. ^ Guénon, René (2004-06-25) . The Spiritist Fallacy. Collected Works of René Guénon. trans. Alvin Moore, Jr. and Rama P. Coomaraswamy. Hillsdale, NY: Sophia Perennis Books. ISBN 978-0-900588-71-6. ^ "Catechism of the Catholic Church". Holy See. Retrieved 2015-02-02. ^ a b Machado, Dr. Fátima Regina. "Parapsicologia no Brasil: Entre a cruz e a mesa branca" (in Portuguese). Ceticismo Aberto. Retrieved 2008-06-23. ^ Guerrero, Cesar (2000-01-17). "Quevedo, o Mr. M de batina". IstoÉ Gente (in Portuguese). Editora Três. Retrieved 2008-06-23. ^ "Astral City: A Spiritual Journey". IMDB. Wikimedia Commons has media related to Spiritism. For a list of writings by Allan Kardec see his biographic article.